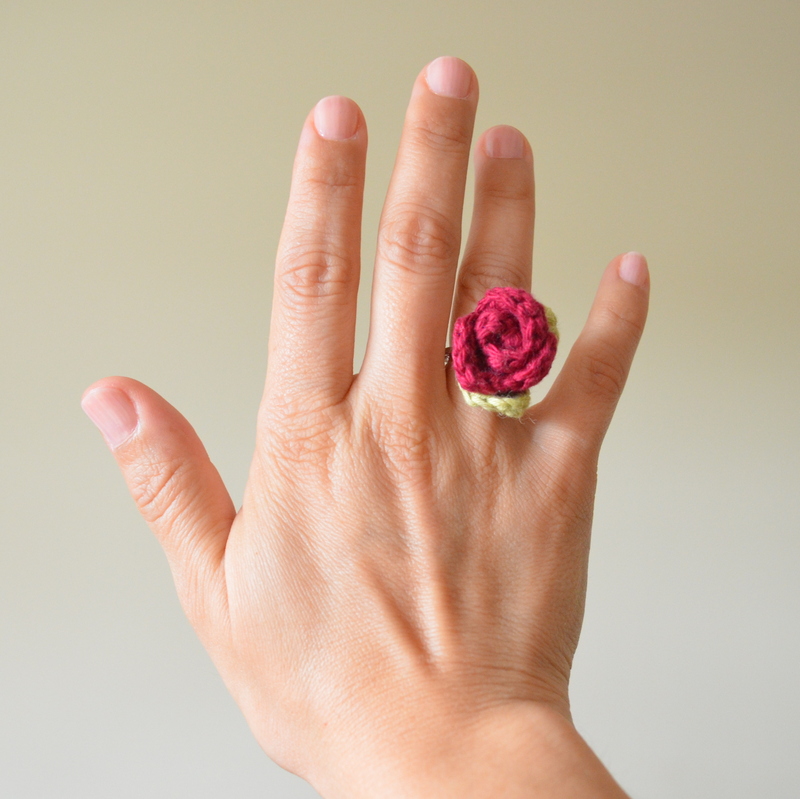 Like many other women out there, I enjoy fashion accessories – admiring them and of course wearing them. And although I don’t often wear jewelry, when I do it’s gotta be different and funky. Recently I was going through my accessories and realised I haven’t added anything to my collection in a long time. 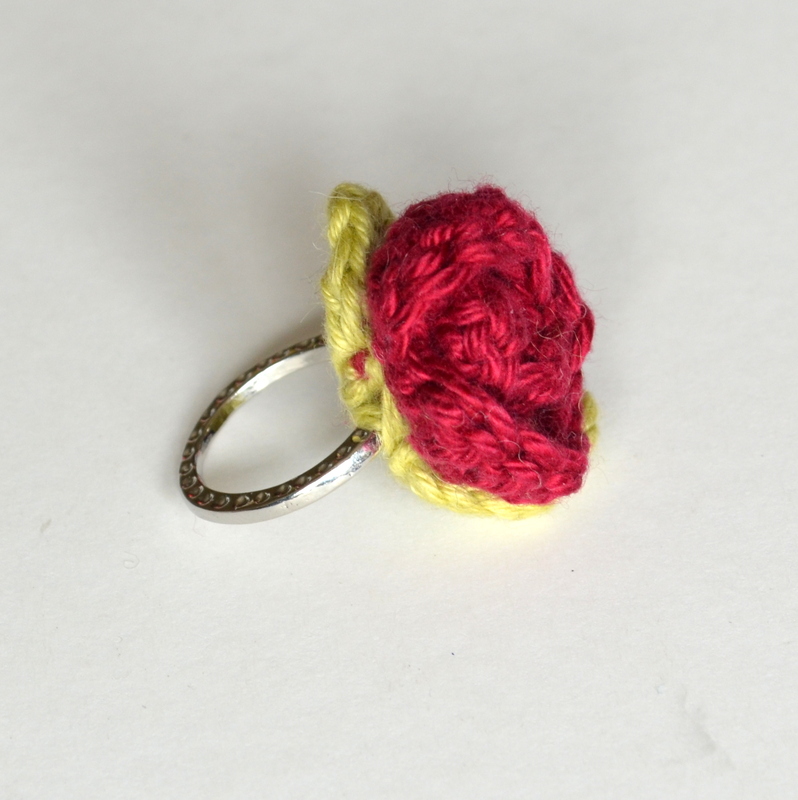 I wanted to make something summery and pretty so I made a flower ring! 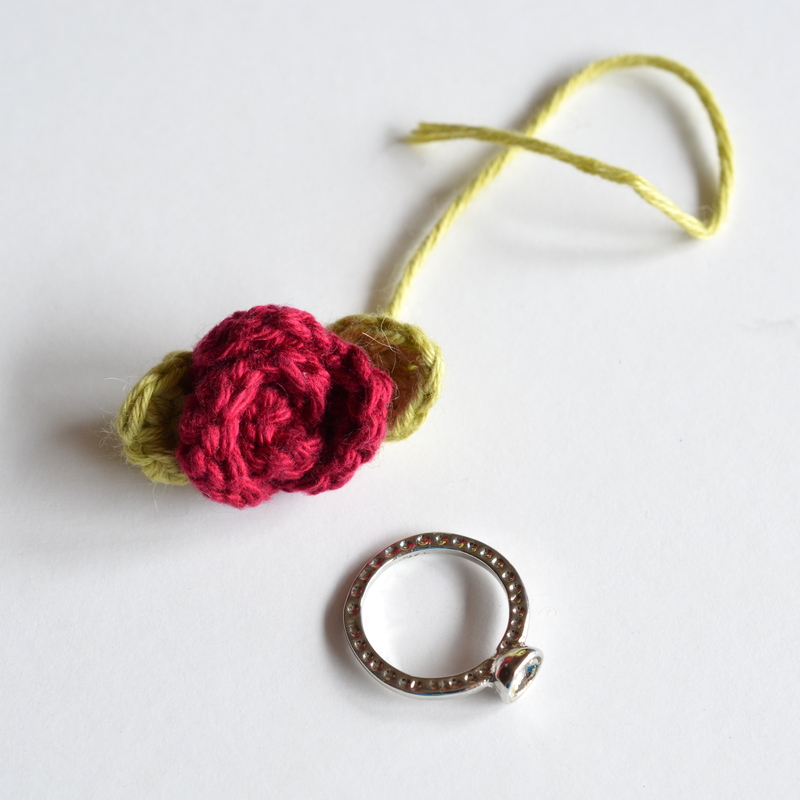 I found this super simple pattern for a rose at Happy Berry Crochet. 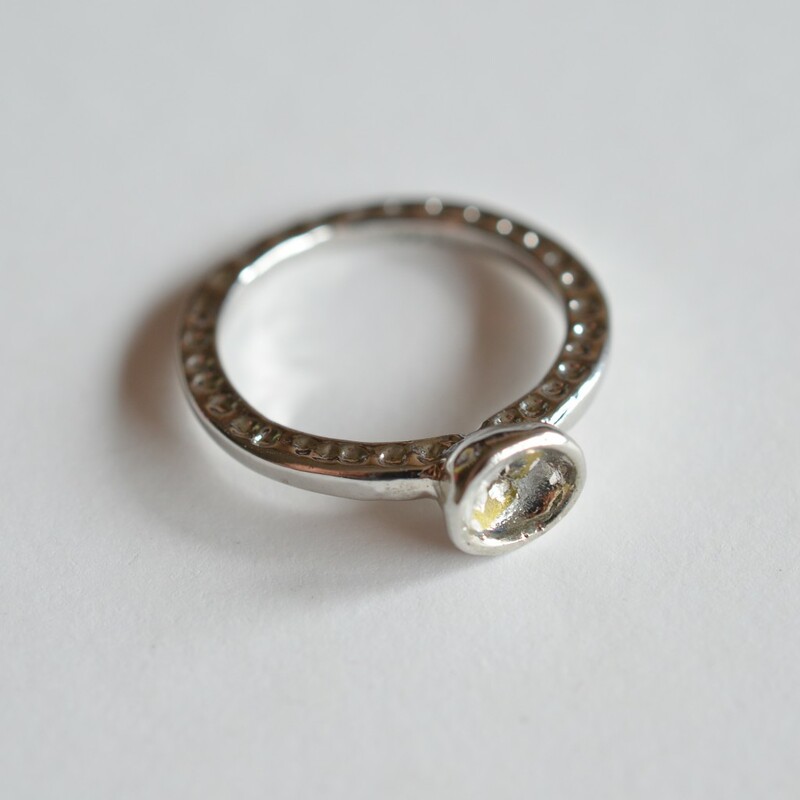 And inside my jewelry box I found a cheapo ring that had at some point lost its faux diamond. I used a size 2.50mm crochet hook and DK [#3] yarn (unfortunately the yarn I used did not have a label but it feels like a cotton/acrylic blend). I love this so pretty!